Change the way you sound with Female Voices. This add-on for MorphVOX voice changer includes six high-quality female voices. Sound like a young woman, a tough biker, a wise grandmother, and more. Voices in this pack include: Agnes, Angela, Celeste, Donna, Julie, and Lisa. 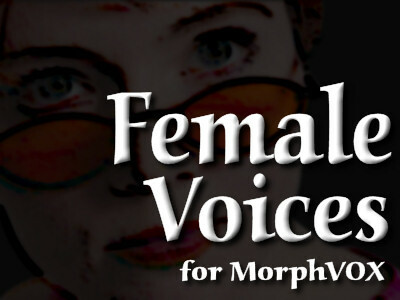 MorphVOX voice changer and the Female Voice Pack will tweak your voice for better game play, richer voice overs or just some gender bending fun.